Have you heard the term “ghosted?” It’s when a friend just disappears, no explanation, no obvious reason. You just don’t hear from them. It can leave you wondering if you did something, if the friendship meant more to them than it did to you, and it can just be confusing. I owe you an apology because I ghosted beginning in August of 2018. While I’m not making excuses, I’d like to share the story. If you have purchased Devotions in Motion, I have good news to share about it. I’ve added to it. At the request of my good friend, Diane, I added a “straight through” video of all 5 devotional dances. 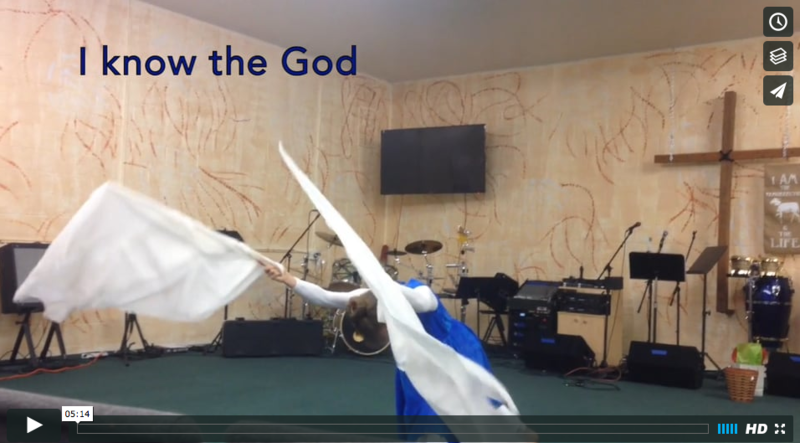 This way, once you have learned the dances, you can use this video to dance them straight through in your devotions. I hope you find it helpful. It is available on your Devotions in Motion download page, which you received from me. If you don’t have Devotions in Motion yet, but have been wanting to purchase it, it will be on sale for $15 through Sunday night. After that, the normal price will be $20. You can purchase it below or click here to learn more. THESE ARE VIDEO DOWNLOADS – Within 24 hours of purchasing them, you will receive an email link giving you access watch the videos online and to download them to your computer. I have found that when preparing to dance in ministry or to teach a class, I need to also be dancing at home in private. 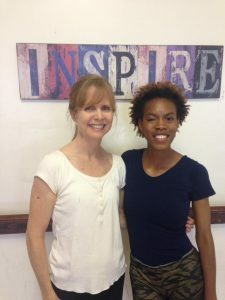 When I dance in private, I connect with Jesus. He’s the source of all true creativity, healing, beauty, and power. If I want those things to flow from my dance in ministry, I need to spend time with Him in private. I also find that there is a battle that goes on inside me in the morning. I know that when I offer my body in praise and worship (that means I move in my devotions) that I experience breakthrough in my life. But something inside me resists moving. I want to sit comfortably under my covers, read the bible, and pray quietly. Now, there are plenty of mornings when I do just that, and it’s a lovely time with God. But there are many mornings when I know He is saying, “Amy, get on your knees,” or “Amy, you need to move. 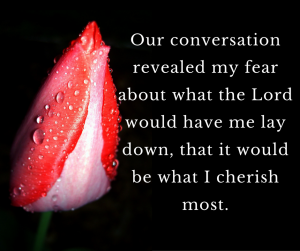 I want more from you.” I always receive from Him when I’m obedient to Him, and yet, I so often resist it. 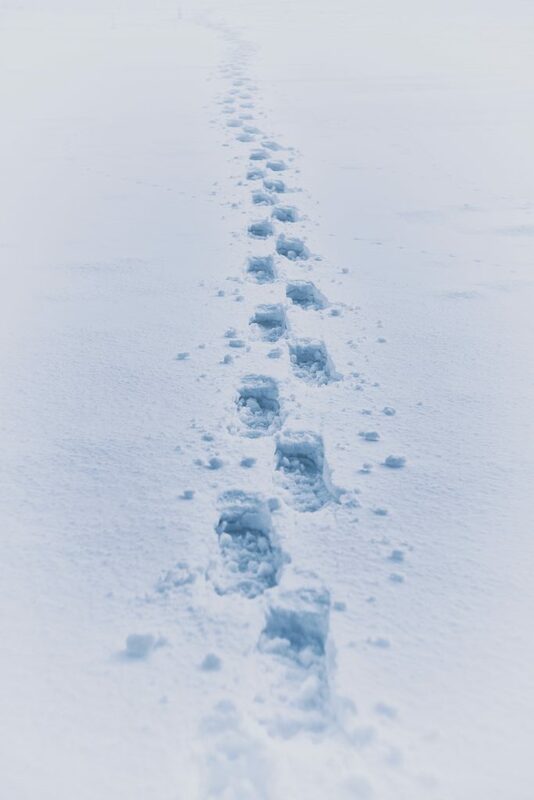 So, it’s been really helpful to me to have a pattern of prayer and some simple movements to do early in the day that get me moving. I’ve developed these devotional dances over the years from some of my favorite verses and from choruses to some of my favorite worship choruses. 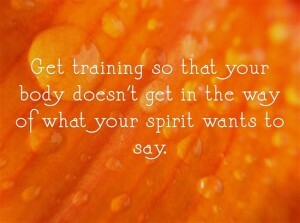 Based on the acronym ABIDE, they give me starting point to engage my body, and, by engaging my body, to engage my heart. I have taught them to classes of children as a pattern for prayer to begin our class, preparing ourselves to worship from the heart. I’m excited about this project because it is truly accessible to worshipers of all ages and skill levels. The movements come out of expressive sign and can be done first thing in the morning, before you are ready to move your whole body. They can be done in a small place, beside your bed, on your couch, in your prayer closet. Because they consist primarily of upper body movements done in a posture of prayer, you can do them when your family is still asleep without awakening them. On the videos, I teach these five devotional dances, step-by-step, so you can do them with me. I also include live video footage of me teaching this to a class of children, so that you can see how it works to teach them to a group. You will be blessed by their hearts of worship. When you purchase Devotions in Motion, the videos will be available to watch online or to download and keep on your own computer. I have my heart set on releasing a physical DVD, but that happen later. What can you do if you are interested in these videos? If you aren’t already subscribed to my mailing list, make sure you subscribe right now, so that you’ll get an email as soon as it is available. 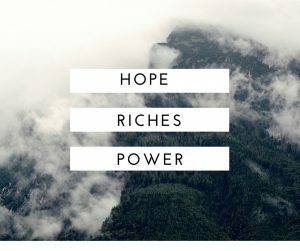 Please also be praying for this project, that I’ll do it in the time and way that is pleasing to Him and that will benefit others. Take a minute and share in the comments. I’d love to hear what you think. I’d also love to hear how dancing in your devotions makes a difference in your life. Me: I’m sorry. I hate the hiccups. My son: I like them. My son: Because they are unexpected. Is it a buzzword to make our dances sound more spiritual? Is it only for a few who are particularly gifted? 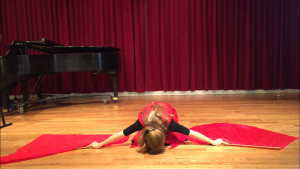 Does a prophetic dance have to be spontaneous? If I feel called to dance prophetically, how can I mature in this gifting? 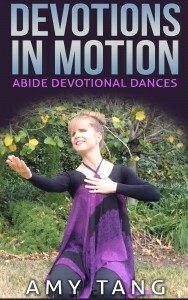 In the Prophetic Dance DVD and book, Pastor Lynn Hayden demystifies prophetic dance and gives a multitude of suggestions for how you and your team can practice hearing from God and delivering his message, and she also gives some helpful cautions to those wanting to be a mouthpiece for God to others. 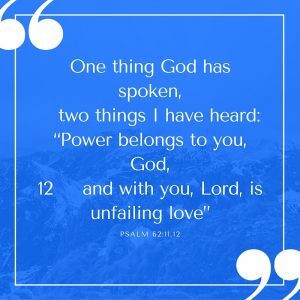 Read on to hear specifics and to watch a 4 minute video teaching I created from on prophetic dance, including a short dance I felt the Lord gave me for a specific group of people. 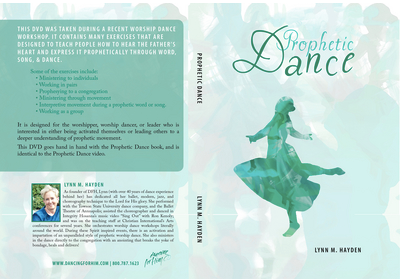 In her book, Prophetic Dance, and the DVD that complements it, Pastor Lynn gives clear teaching on what prophetic dance is and offers a multitude of ways a dancer or dance team can practice prophetic dance. She begins by giving a working definition of prophecy: to minister the heart of God to another. In prophecy, we call those things into existence that be not as though they were. As dancers, we deliver the prophetic word through movement. The movements we use are not just beautiful or interesting, they carry meaning in the spiritual realm. So, as we dance under the inspiration of the Holy Spirit, the Lord uses our movements to bring about healing, deliverance, and release of captives. 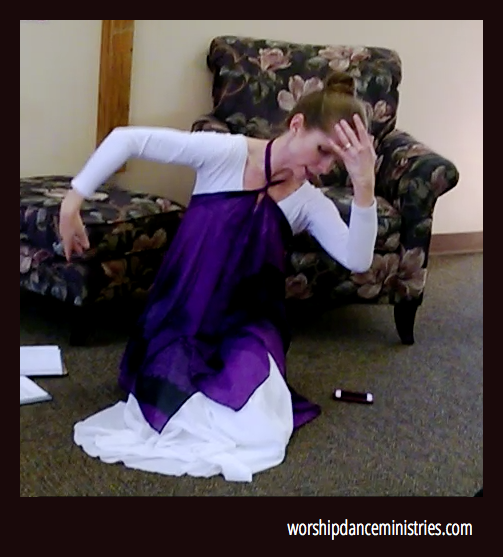 Pastor Lynn explains that prophetic dance differs even from other forms of worship dance. In prophetic dance we use music (or the spoken word) written/spoken in the first person, and our movements are directed towards the people. We make eye contact and gesture towards the people in order to deliver a message to them from the Lord. This is different from when we dance to praise songs that are written to or about the Lord. In those songs, we are gesturing towards the Lord, speaking to Him. We hope to draw others into praise by ourselves embodying praise and worship. But in prophetic dance, the message is for the congregation or for the individual, and so we direct our focus towards them. 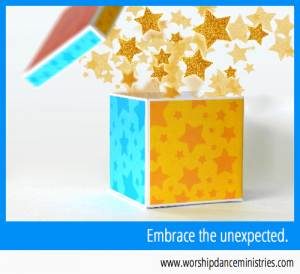 Pastor Lynn also debunks the common misperception that prophetic dance must be spontaneous. While often the movements are spontaneous, because we are listening to the Holy Spirit for what He wants to say in that moment and to whom, they can also be choreographed. The Lord can give a message ahead of time about what He wants to say to a congregation or individual and, as we pray and listen, give us choreography for a dance. That dance, because it is a word from the Lord to the people, is prophetic. 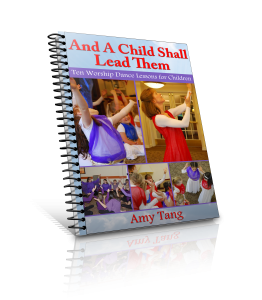 The book and DVD are full of activities that a dancer or dance team can use to grow in the ability to hear from God and communicate His word through dance. Pastor Lynn encourages dancers and groups to practice, to relax, to trust that He will speak. She also gives several safeguards, mindful that speaking for the Almighty God is a tremendous privilege and responsibility that we don’t take lightly. Please share in the comments your experiences with prophetic dance. 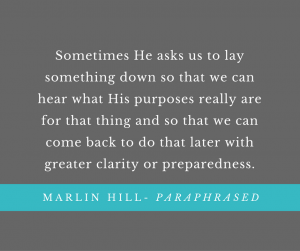 How did you know what the Lord wanted you to say through movement?